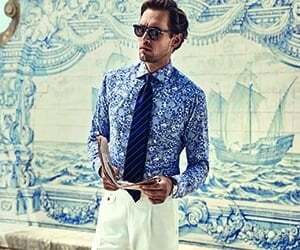 Summer in Rio means humid, balmy evenings when you’d rather not be wearing anything, but you need to look smart for cocktails, dinner, that yacht party. Enter our melange navy blue linen chinos. They’re light, yet the deep hue keeps things sophisticated, and they pair effortlessly with a linen shirt for Carioca chic.